Badhaai Ho is simply unstoppable in the 5th week and is all set to rule in 6th week also. There is a big chance that film may collect significant even after the big release of 2.0. Such is the box office performance of the film. It is on an unstoppable mode right now. Badhaai Ho has collected an approx 1 crore nett on 5th Wednesday. Which is interestingly higher than 5th Friday, 5th Monday and 5th Tuesday. Audiences are still coming to theaters to watch the flick. 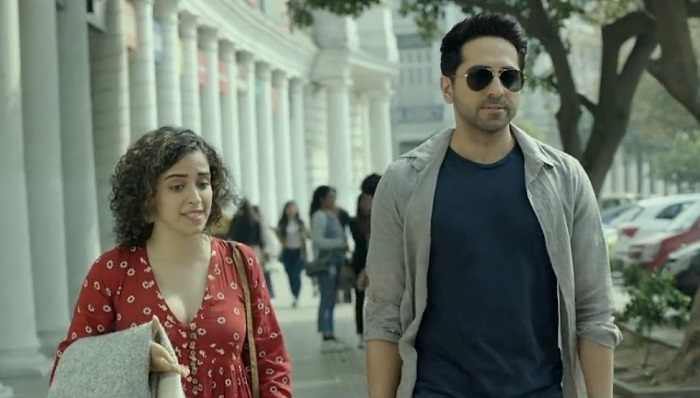 Badhaai Ho total collection at the end of 35 days is approx 127.55 crore nett. Film is all set to cross 128 crore mark by the end of week 5. Fifth week business is trending towards 8-8.25 crore nett mark. Means a drop of just 25% or so from the previous week. There is no doubt that Badhaai Ho is the best trending movie of the year even surpassing the like of Stree. Film is all set to enter 130 crore mark. Film lifetime collection may now touch 135 crore nett in India. 140 crore looks out of reach but again all depends on 6th weekend. Anything is possible, the way film is trending so far. Wed -> 1 crore nett. Total -> 127.55 crore nett (approx). This is amazing. How it is day to day collecting higher than TOH. This is bad for TOH.